← Loan Modification Programs in 2019? It has been a decade since the mortgage crisis began, and foreclosure defense and loan modification services remain indispensable. The HAMP loan modification program expired in 2017, and most people thought that foreclosures were a thing of the past. As we updated the HUD listing on our site for 2019, we noticed that the number of service providers had declined. Yet, today MRP is still receiving inquiries from homeowners trying to stop a foreclosure and get a fresh start with their mortgage. To accommodate this demand, we have streamlined our operation and procedures. For 2019, We have updated our website to conform to the services offered by the only law firm we work with. The law firm we work with has a nationwide network of attorneys, and is licensed to practice in more than 40 states. We have been working with this law firm for many years now. As such, we know that they are honest, ethical, and hard working. They have handled hundreds of cases, and have a decade of experience in foreclosure defense and loan modification. To expedite the process of determining your eligibility now offer a Preliminary Application. By completing it, you will open communication with the law firm. Most importantly, their track record also demonstrates a commitment to consumers. First, they offer the protection of an approval process designed to expose any problematic elements. This gives you an honest assessment before you sign up. Next, they offer everyone the pricing originally created for a low income project! That pricing is $2,595, broken into 4 monthly payments of $795, $600, $600, and $600. If, for any reason, they have reached an unfavorable outcome, the firm will close the case and no further payments are drafted. In other words, you will get it all worked out for $2,595, or exhaust the option for very little money. You can learn all about the firm and the foreclosure defense and loan modification services they offer, by completing the Application! 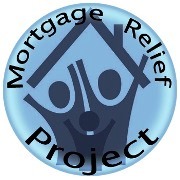 In conclusion, we believe that foreclosure defense and loan modification remain fundamental to foreclosure prevention. In our ten years of helping homeowners, we have seen many different legal tactics from many different attorneys. All said and done, loan modification and reinstatement plans are still the preferred method for avoiding foreclosure today. Government statistics show that the success rate of homeowners represented by an attorney dwarfs the success rate of those who try it on their own. So please, heed this advice. Having personally seen the various forms, templates, and proprietary letters within the system of the law firm mentioned above, I can only tell you that attempting the process on your own would be foolish. This firm does a tremendous job, and charges so little.